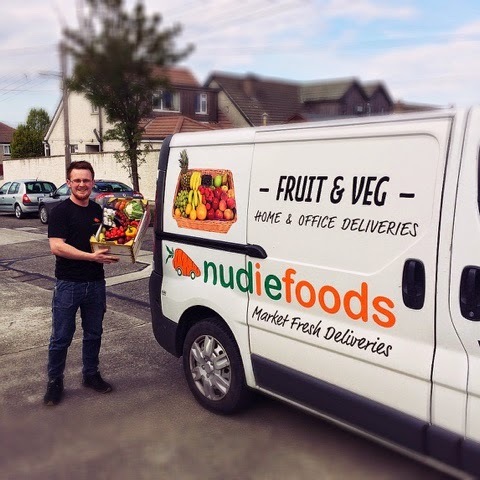 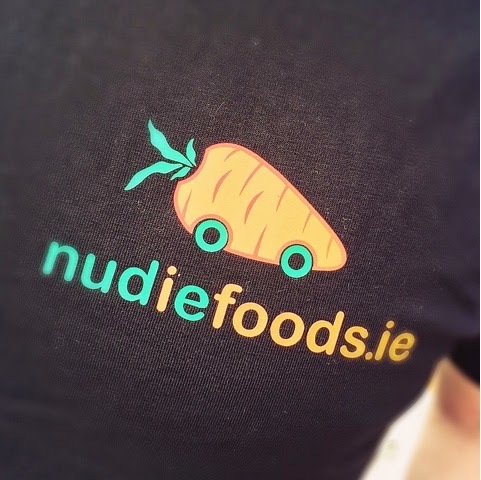 These guys will deliver fresh fruit and veg goodies to your door straight from Smithfield market, so technically you're skipping the middle man, so you can keep your flip flops on and impressive the driver with your tan! WIN WIN! 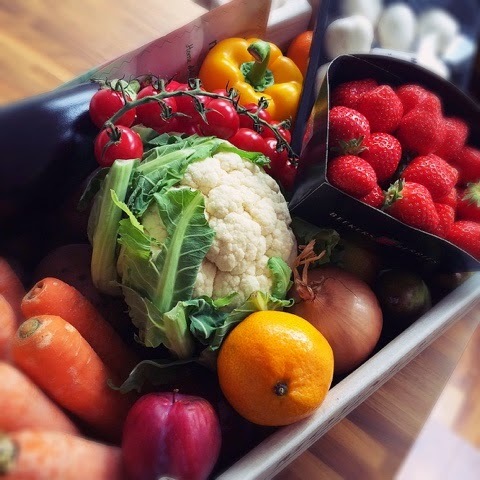 I know you'll all be shouting 'but you can get it cheaper in XYZ...' but for people with busy lives or work ridiculous hours, the convenience is fantastic... you know when you go to the supermarket late and it's just about to close, you'd be lucky to get one bruised pepper and a few berries on the cusp of going mouldy... you could have this waiting for you when you get home... 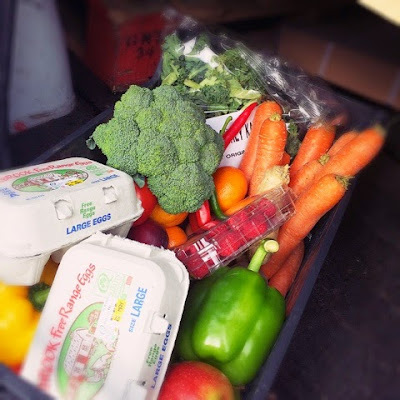 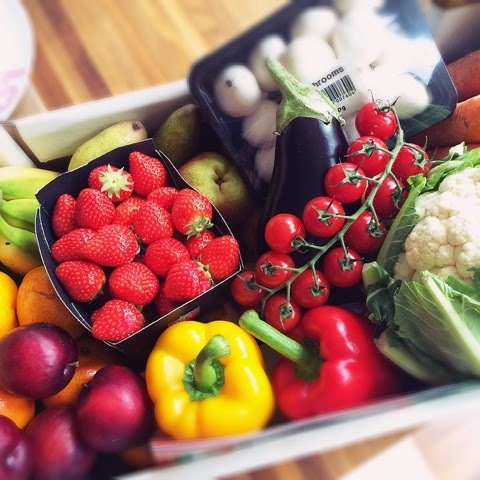 If you were sick, and lets face it with this silly weather there's a real dose going around, on crutches, driven demented by kids over the summer, or with a new baby or just want the convenience of someone else to do it for you for once, it all arrives fresh from the market to your door! 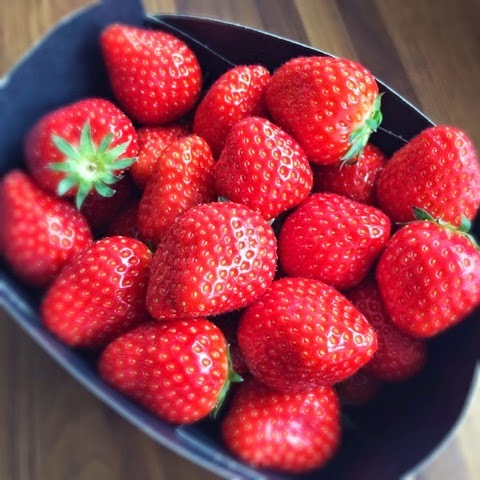 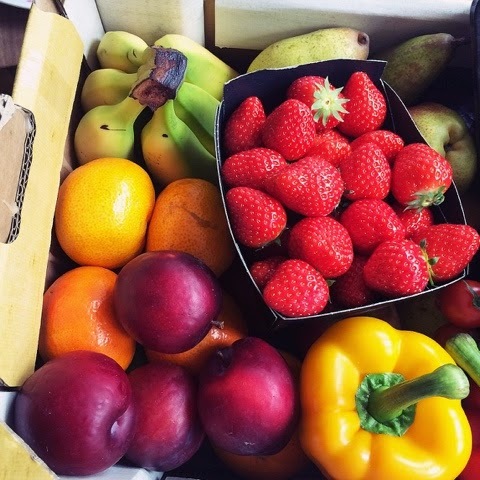 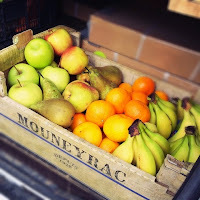 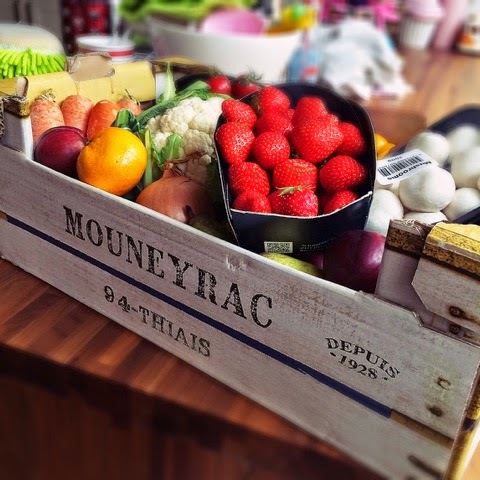 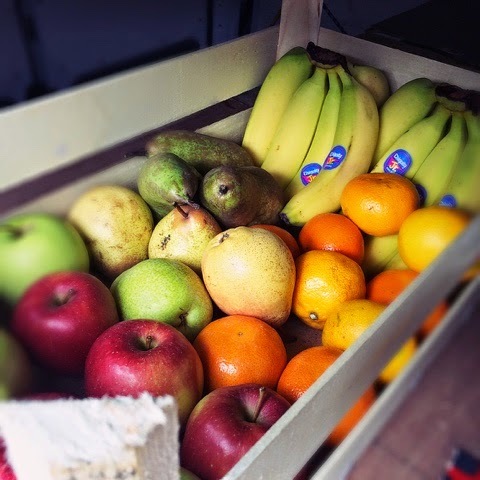 If you knew someone who isn't into flowers and wanted to send them some feel good factor-ness, a fresh box of fruit is a fab present and cheaper than a bouquet for just €20!